Hialeah, Florida Bail Bonds, Bail Bondsman Bond Agent. @ Bail Yes.com web pages we provide you with Hialeah, Florida bail bond information, links for online search of local jails inmate information, courts, sheriff’s departments, criminal defense attorneys, private investigators. Bail Yes.com is serving the city of Hialeah, Hialeah Gardens, Miami Lakes and surrounding areas for bail bonds 24 hours 7 days. To speak now to a licensed bail bondsman call our number 1-800-224-5937. Hialeah is a city in Miami-Dade County, Florida. 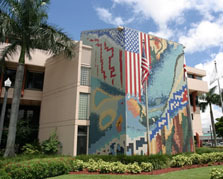 Hialeah is part of Miami's metro area and the Greater South Florida metropolitan community. Hialeah is the fifth largest city in the state of Florida.